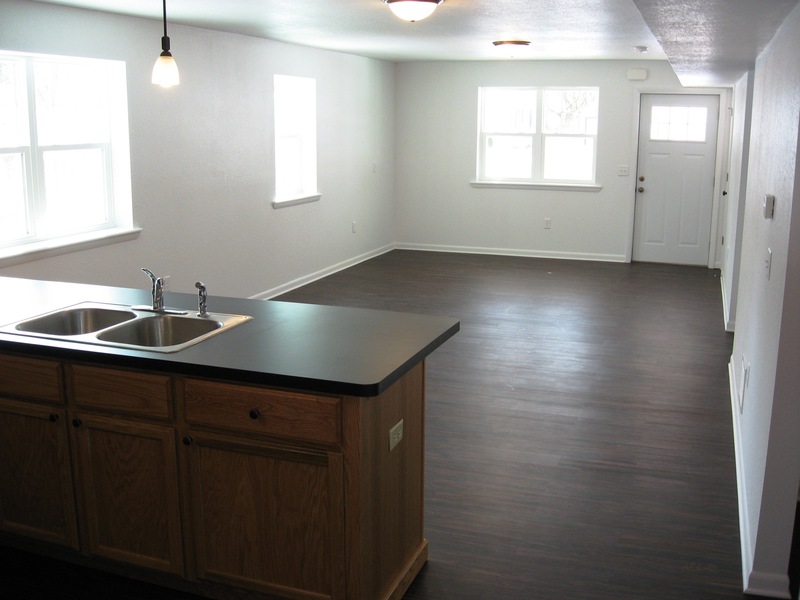 The home is one-story on a slab with three bedrooms and one full bath about 1100 square feet in size. 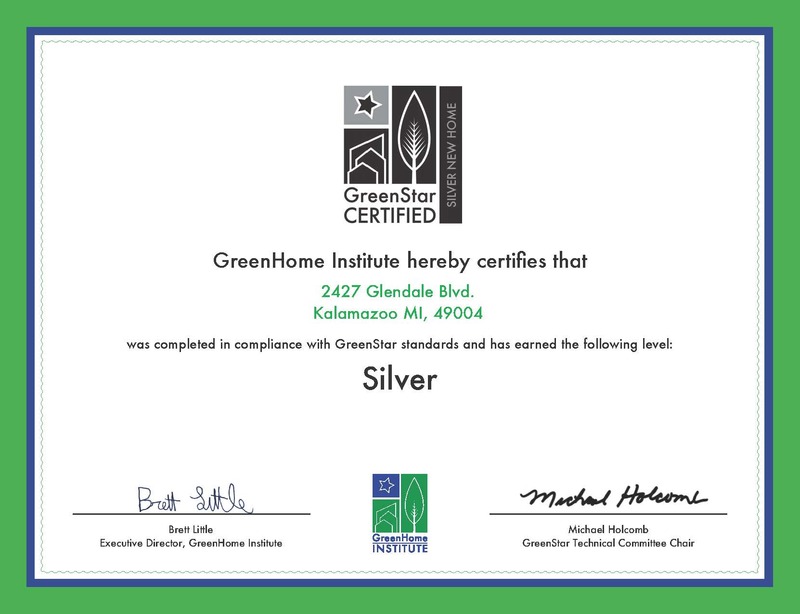 It was our first Zero Energy Ready Home, and achieved Energy Star, Indoor airPlus, and GreenStar silver. It was also only the second ZERH home in the state of Michigan. 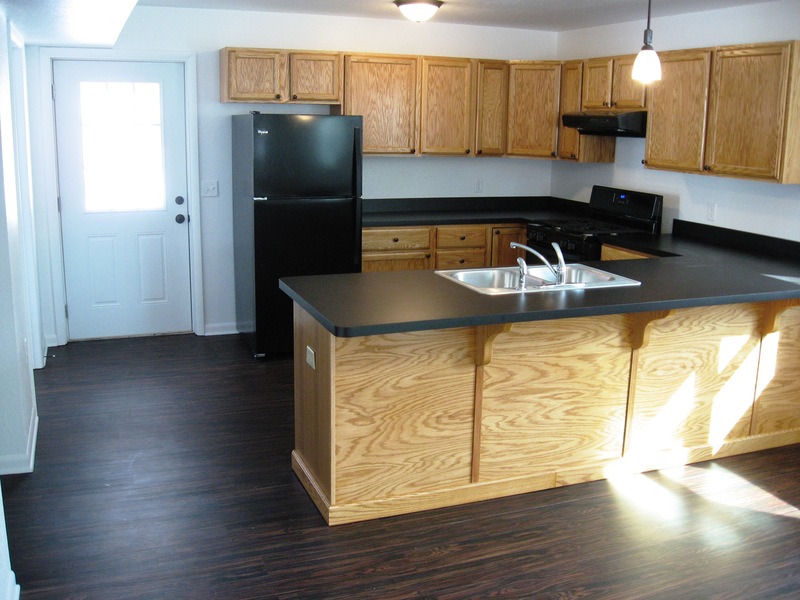 The home is super energy efficient, very comfortable, and extremely healthy to live in. 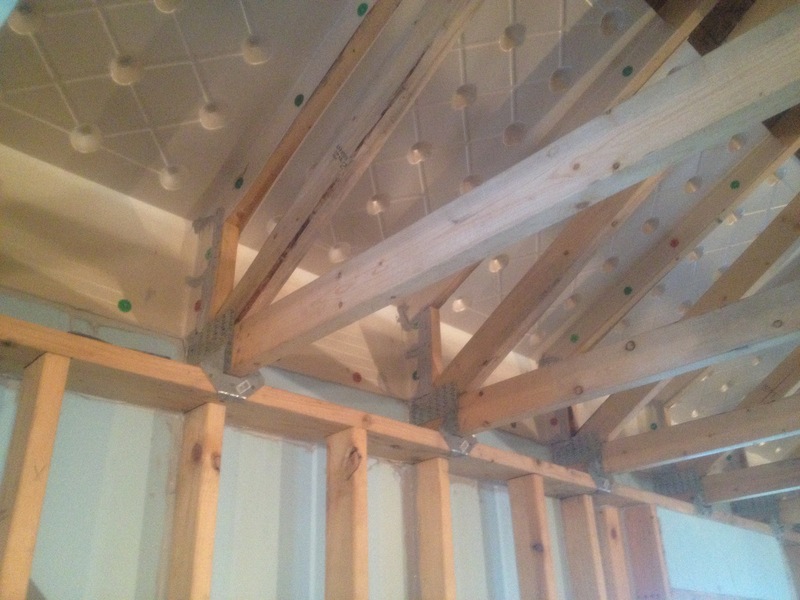 We took great care to insulate and air-seal the home, and it shows. The annual gas and electric is estimated to be about $800, or less than $75 per month. 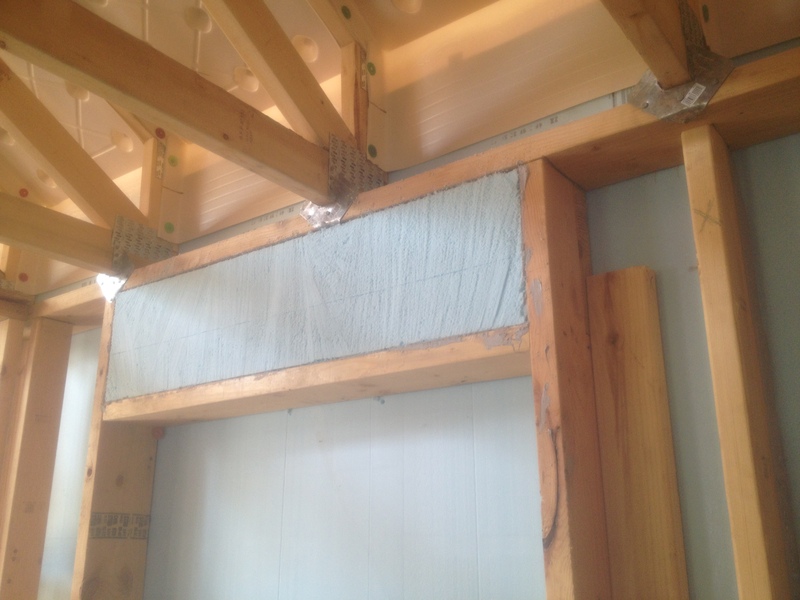 One lesson learned is that it is difficult to insulate a staggered-stud wall with dense-packed cellulose. 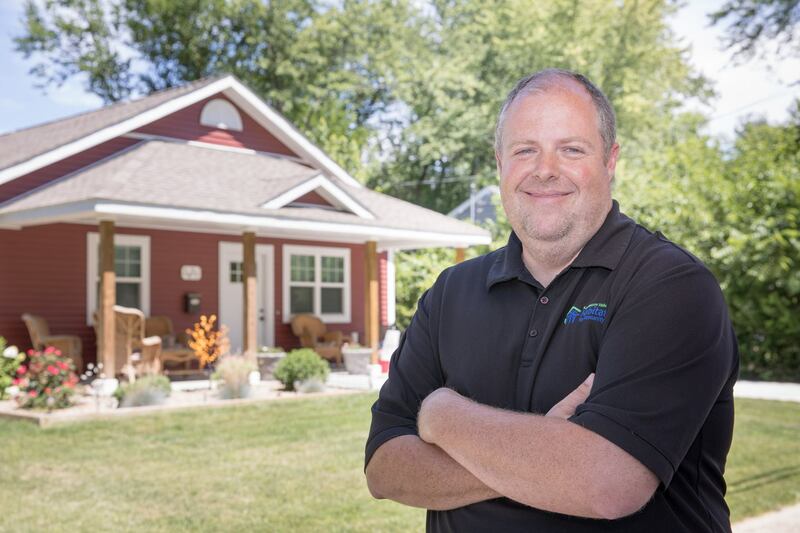 It is only the second home in Michigan to be ZERH rated. 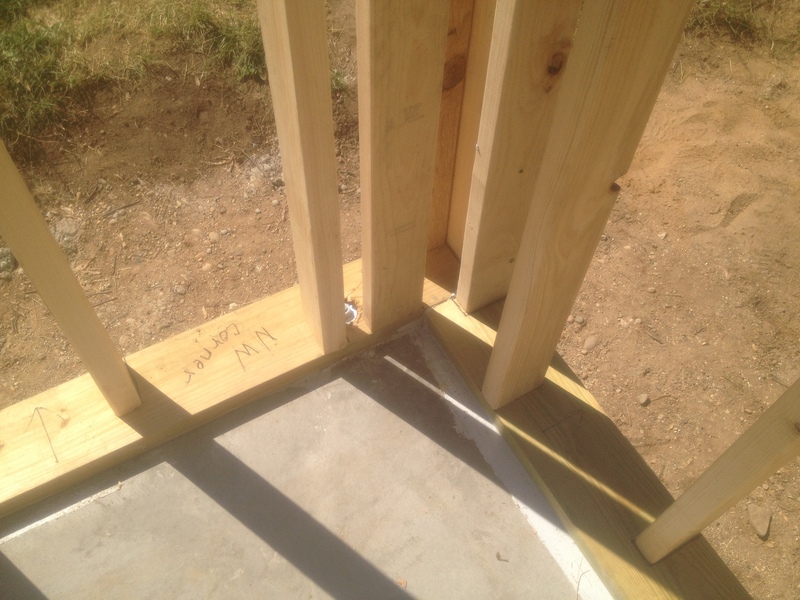 The foundation is a shallow insulated slab that uses a new method (designed by us) where the under-slab foam continues across over the stemwall to form a break between the slab and stemwall, reducing heat loss into the ground. 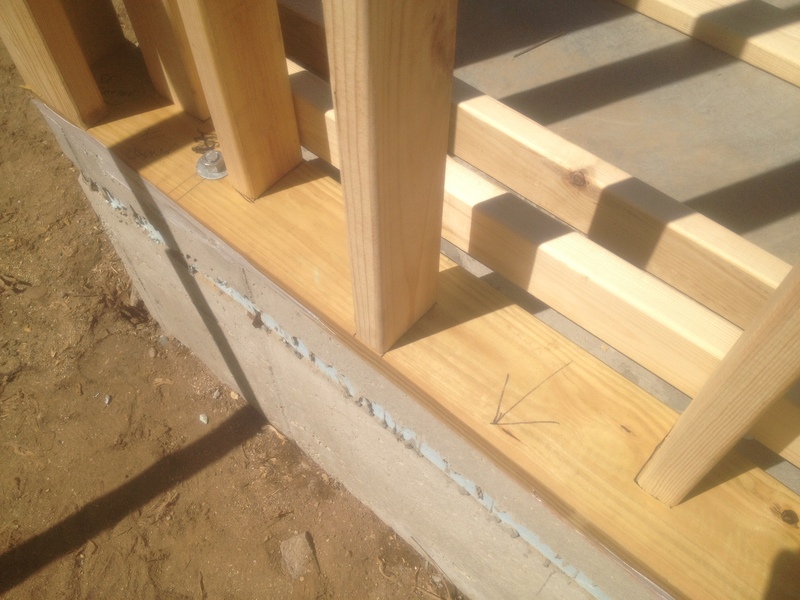 Staggered 2×4 studs on a 2×6 plate reduce thermal bridging. 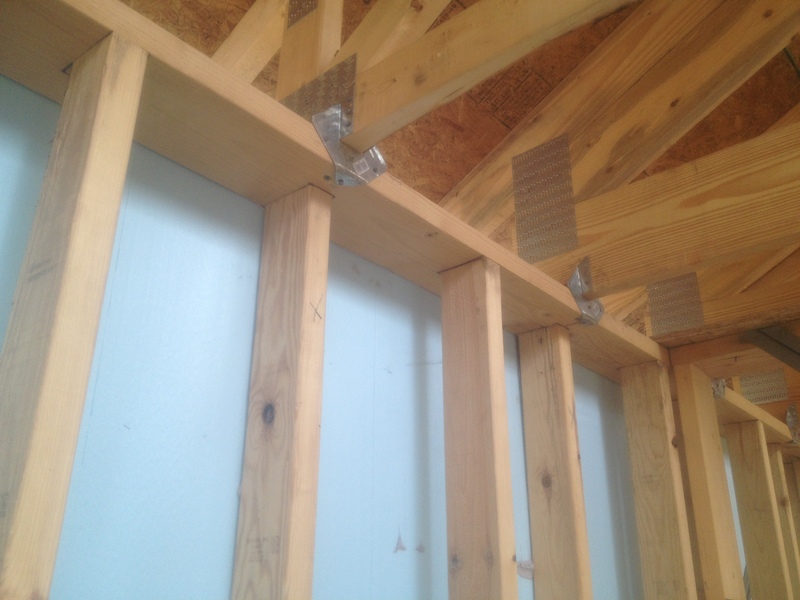 Advanced framing was pushed to the limit on this home: there are not two studs next to each other in the entire exterior envelope. The envelope was carefully air-sealed, yielding a blower door flow of less than 250 cfm. 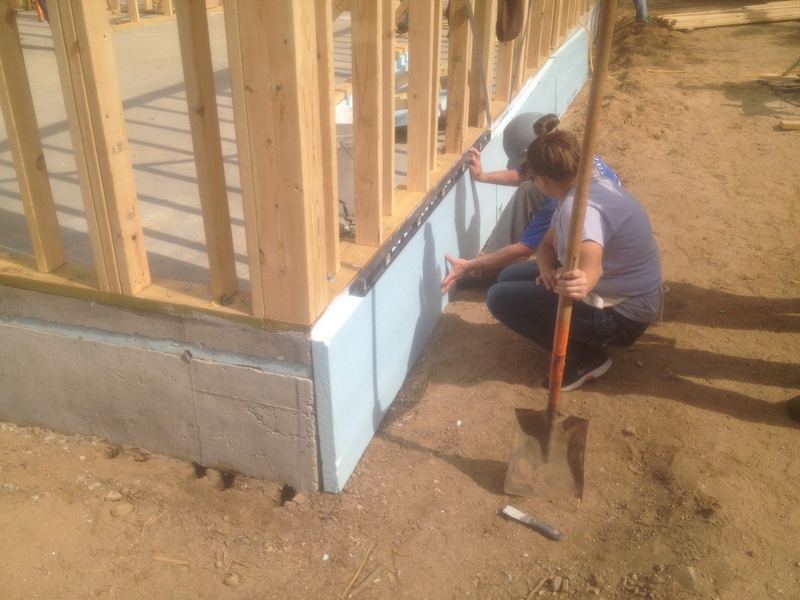 Continuous foam insulation and dense-packed walls give a wall R value of about 30. The attic is foam-sealed and cellulose blown to R-60. 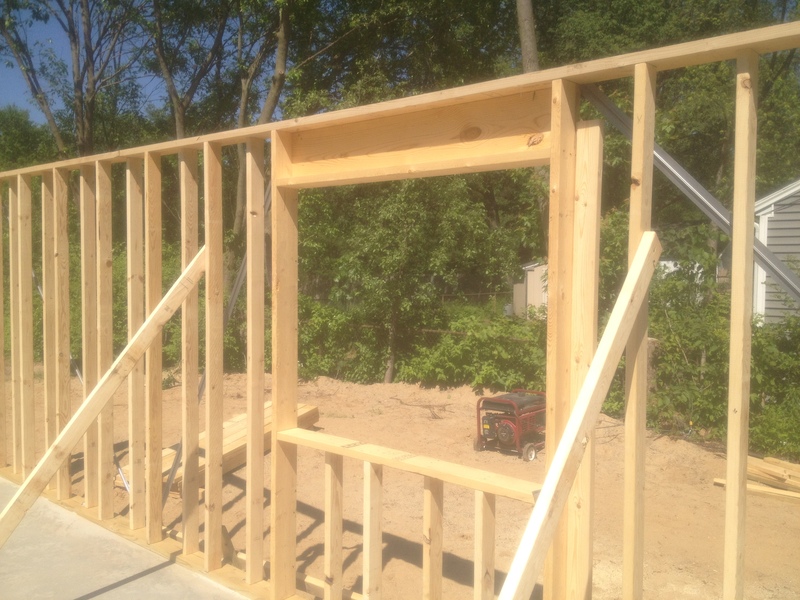 All known advanced framing techniques were used, including, but not limited to: stacked framing, single headers, no headers in non-load walls, single plates, 24″ on center, staggered studs, ladder partitions, open corners (to allow continuous insulation), headers notched into studs to eliminate need for jack studs, etc. 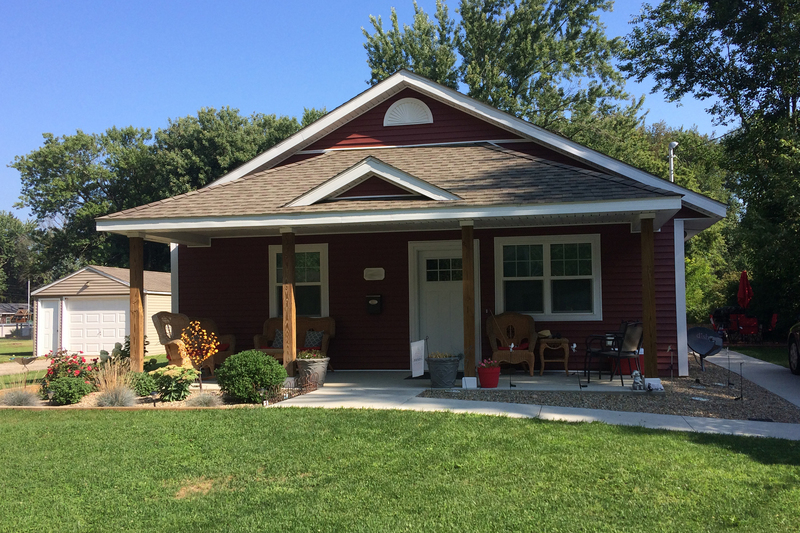 The front porch was designed deeper to shade the front windows for cooling. The furnace is a 30kBtu natural gas forced air furnace, AFUE 97%, two-stage, with an ECM motor. The ductwork was designed to be precisely sized for maximum performance at the lowest possible fan speed for energy efficiency and comfort. A Venmar k8 HRV provides fresh air exchange. 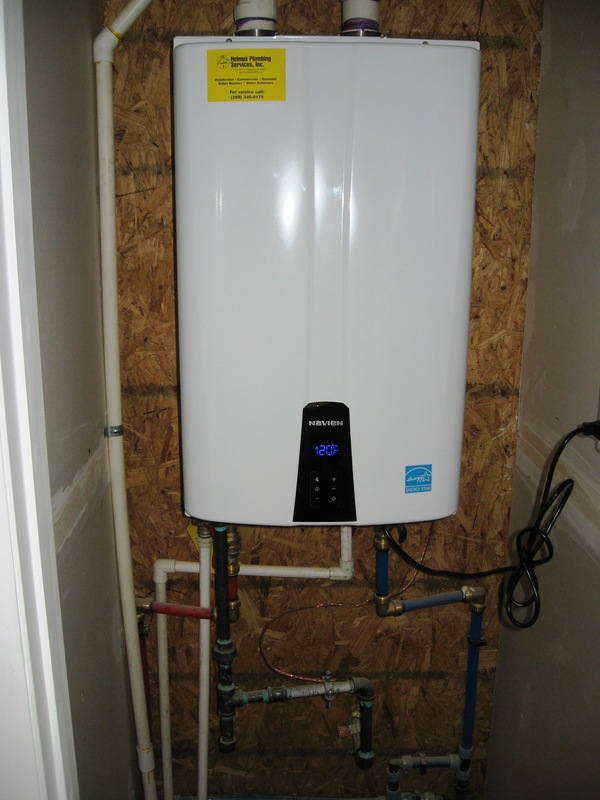 A Navien condensing tankless water heater was used, 98% efficient. All hot water lines are 1/2″PEX home runs, and the kitchen, laundry, and bath are clustered close to each other for short runs. The entire hot water piping capacity is only about 0.6 gallons, so there is very little water wasted waiting for hot water. All fixtures are low-flow, WaterSense rated. 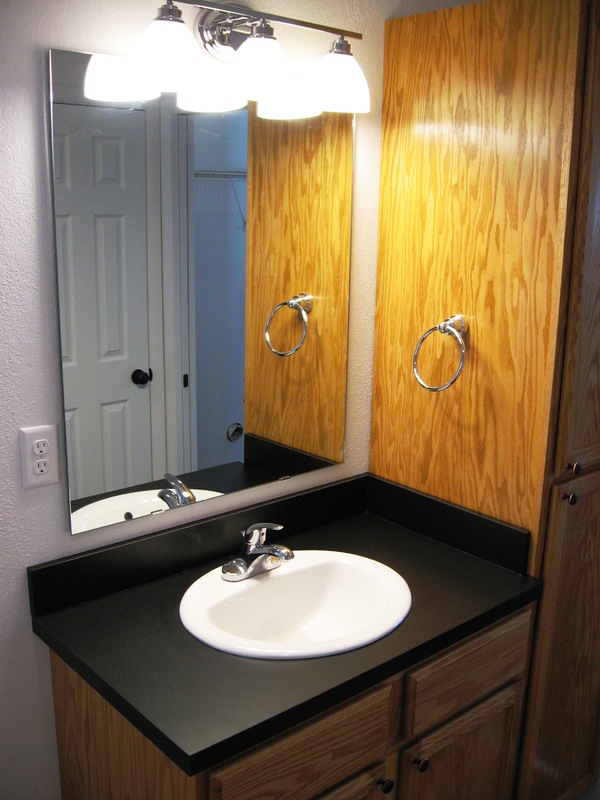 We utilize high quality materials in every part of the home. We recycle anything that can be recycled, such as glass, plastic, metal, cardboard, etc. 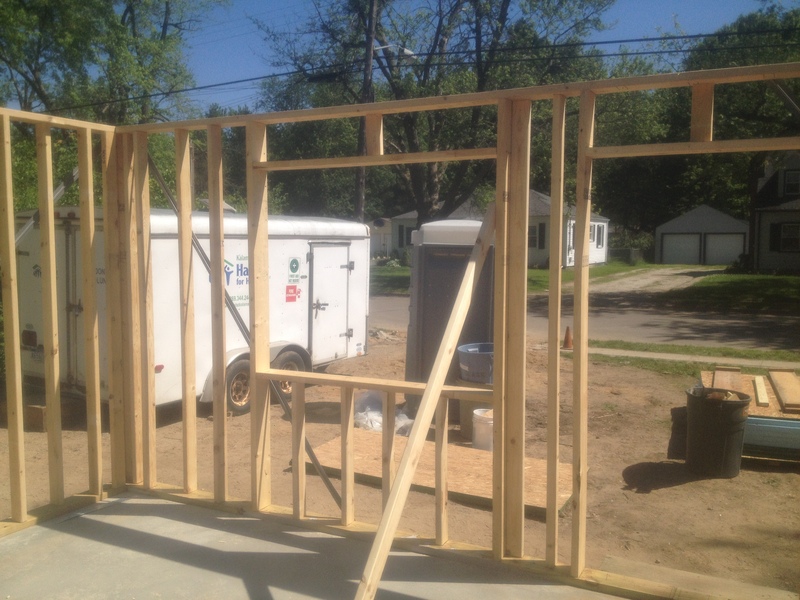 The home is designed with common material sizes in mind, such as building walls in 2′ increments. 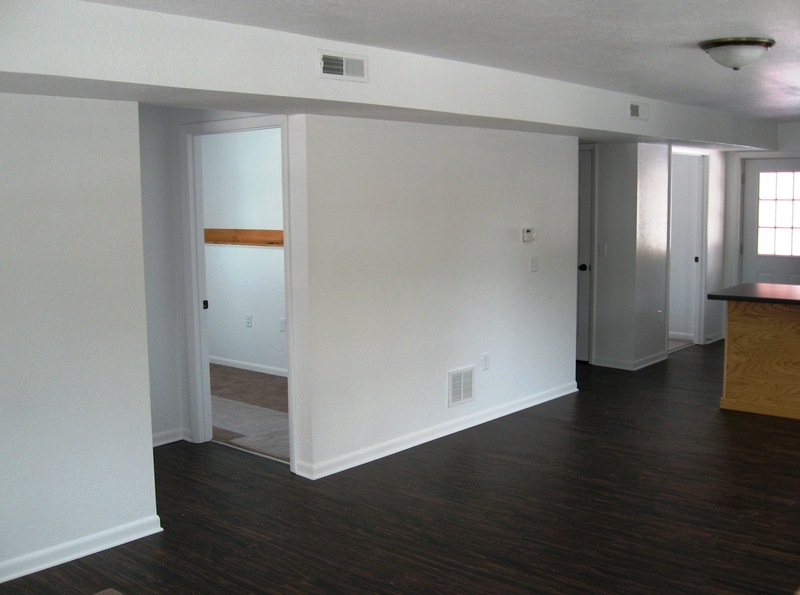 Any adhesives, caulks, paints, or other materials used in the home are low or no-VOC rated. We take extreme care to deal with possible bulk water leaks, and design walls using WUFI modeling software to minimize condensation in assemblies to reduce or eliminate the chance of mold growth. Properly sized spot ventilation in the kitchen and bath and an HRV keep moisture levels in the home at a healthy level. 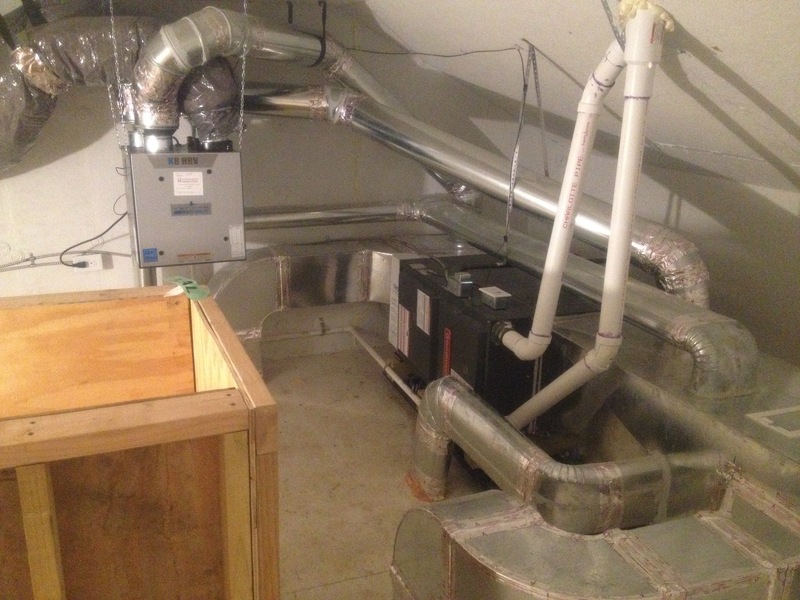 A passive radon mitigation system is installed with electrical already in place for a fan to be installed if required. 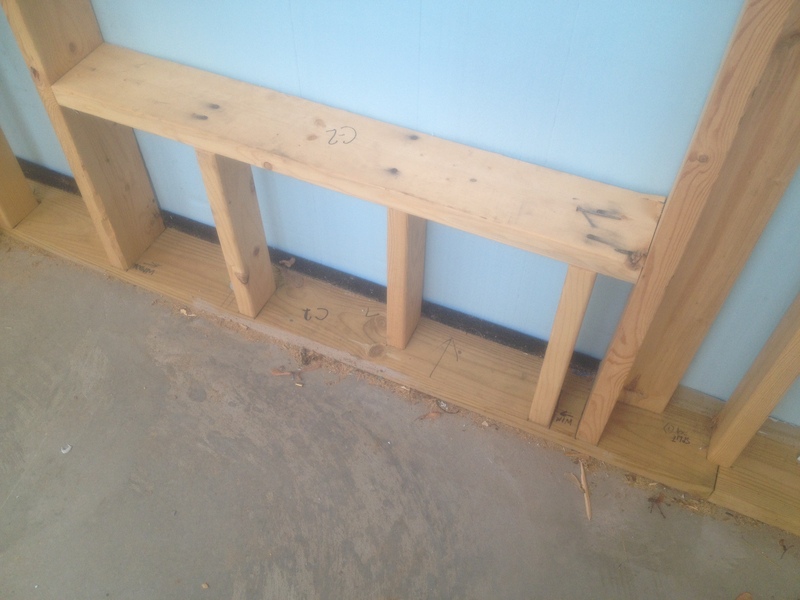 Termite flashing and premium air-sealing keeps pests out. The home is located in an established neighborhood on a lot where there was a home about five years ago. The previous home was demolished as a result of blight, so the blight was eliminated, housing density was not increased, undeveloped land was not used, and there is no additional burden on infrastructure.